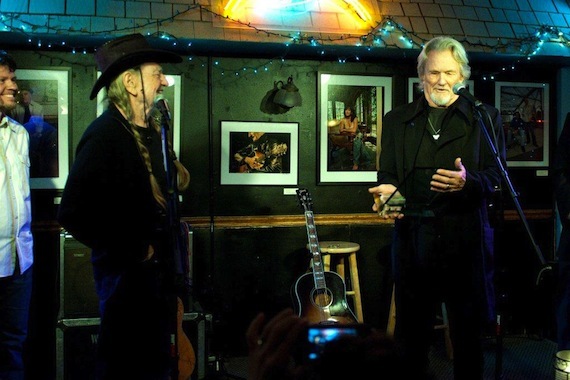 Willie Nelson and Kris Kristofferson pictured at the Bluebird Cafe on Jan. 27. 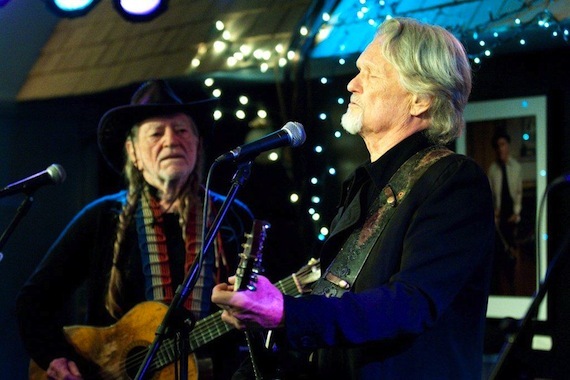 Legendary songwriter Kris Kristofferson presented the inaugural Kris Kristofferson Award to colleague and fellow musical icon Willie Nelson Sunday night (Jan. 27) in a private ceremony at the Bluebird Café. The NSAI Board of Directors created the award which will be bestowed at the board’s discretion to songwriters and artists of all genres. It is given in recognition of a lifetime of achievement to music creators whose songs have inspired generations and touched listeners worldwide. Songwriter members of NSAI’s Board and lifelong friends and colleagues of Kristofferson and Nelson attended the Sunday night presentation. 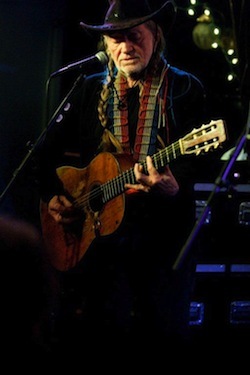 Kristofferson is one of NSAI’s founding members. “Kris Kristofferson inspired me and countless others to become songwriters,” said NSAI President Lee Thomas Miller. 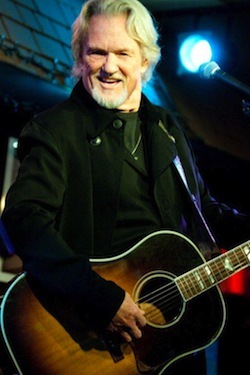 “He is the standard of greatness to which we all aspire.” Kristofferson is a three-time recipient of both NSAI’s Song of the Year and Songwriter of the Year awards, for “For The Good Times” (1970), “Sunday Morning Coming Down” (1971) and “Why Me Lord” (1973). See a video of the presentation here. Lee Miller watches Nelson and Kristofferson.